For 29 years, Jeff Haggar's companies High Tech Home and Fusion Home Systems specialized in the design and installation of cutting edge intgrated home lifestyle systems. For 20 years, Fred Bueno Electrical specialized in all facets of electrical contracting services, generators, and innovative LED lighting technologies for luxury residential properties. Today, Fusion Home Systems and Fred Bueno Electrical have joined forces to form Next Electric, a unique one-stop shop for whole house system integration and electrical contracting services. All Next Electric projects, from simple security systems to whole house audio and lighting control systems are expertly designed and installed to enhance your lifestyle and complement your decor. With a Next Electric Systems smart home you only need one controller for all of your electronic lifestyle home systems. With the touch of a button, create the environment you want, any time of day or night. With well-trained technicians and years of providing outstanding support and customer service, you can feel confident we will work closely with you to meet and exceed your highest expectations. 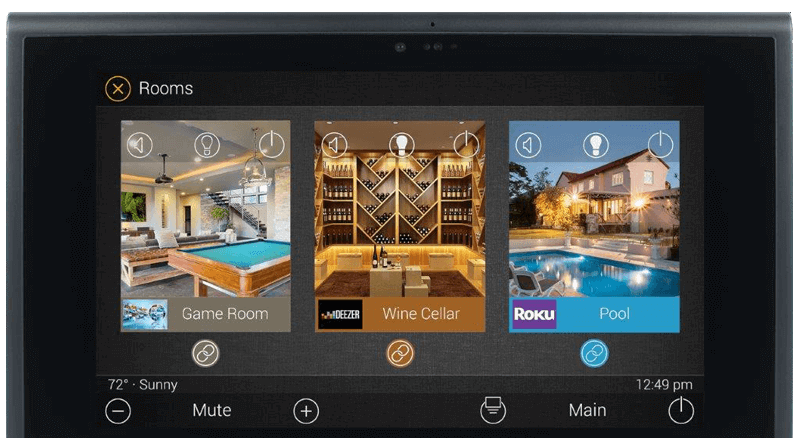 When done right, integrated home technology and entertainment systems create great creature comforts, increased safety, energy savings and years of pleasure and fun. From whole house audio to lighting and networking, it's all just one convenient click away. Dim the lights and set the temperature to the desired evening level, push play on your favorite station, keep a virtual eye on the kids, and then Google a new recipe for dinner... all from your phone or tablet. With remote capability, you can control your home systems from anywhere in the world, giving you full control even when you’re away.